Growing up, most of us hear family origin stories told to us by close relatives. My grandfather, Shimon Mahler, an immigrant refugees from Poland in 1913 escaping antisemitism and hoping to make a better life for himself, on occasion told me about our relatives in Krosno, Poland and, in particular, his father, Wolf Mahler, after whom I was named. 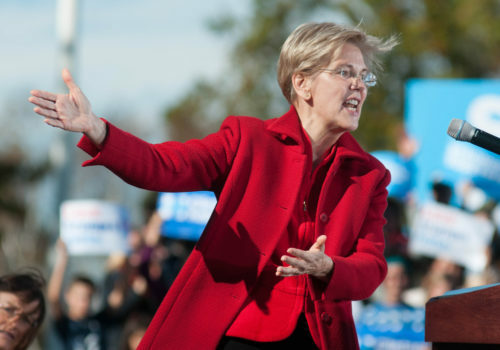 Warren announced her candidacy last weekend, but controversy still swirls. Many in the Republican Party have piled on Warren’s ethnicity claims, but where is their righteous indignation against the blatant racism tweeted from the Oval Office? Flanked by surviving Navajo war veterans in a White House ceremony to honor them, President Trump lacked any sense of decency and respect by again taunting his nemesis, Senator Elizabeth Warren, with a racial epithet, “Pocahontas,” referring to her Native American heritage. CNN’s Jake Tapper questioned House Republican Conference Chairwoman Liz Cheney twice for her thoughts on the controversy, asking “What about the language the President uses and the joking references to genocide against Native Americans?” Cheney refused to answer the question. On the other hand, the real insult, the real anti-indigenous racism has come directly from the White House and by the utter silence of most Republican “leaders” who further racism by omission.